A website essentially is a digital reflection of your dental office online. It should be carefully tailored to include your philosophy, your idea of dental care, your practice, your team and everything else that you think is important for patients to know about your business. A custom-made website which is seamlessly integrated to your business is highly cost efficient and effective in attracting your potential customers. I have a pretty website. Why should I think of a new one? What difference does a well-designed website do to my business? Everything in the online world undergoes upgrades at a rapid rate. Therefore it becomes essential to keep up the pace when it comes to use of advanced technologies in your marketing strategies. Website is a major reflection of your business in the online world. If it is not designed appropriately to suit the various devices your potential patient uses or if the design looks pretty outdated, you may be losing out your potential patients. This is where the necessity of a custom-made website arises. 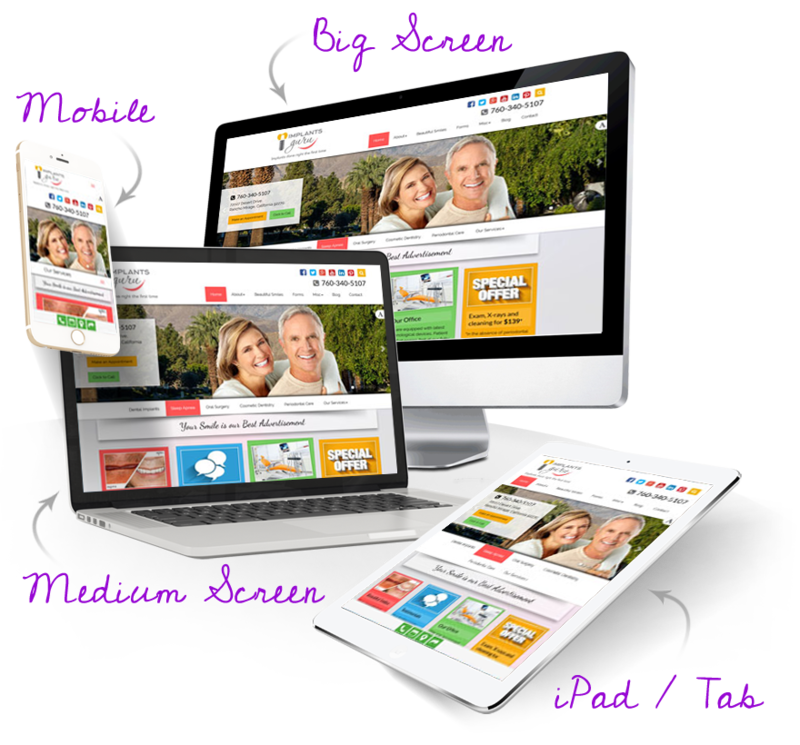 A custom-made responsive website fits perfectly on all devices including tablets, smart phones laptops and desktops. The website and the content (images, articles, videos, links etc.) published in it can be easily changed as per the needs of your business. As the owner of a business you know how important it is to communicate effectively through your website. The ADS advantage is; any number of changes to the website design and the content, based on your interest, can be done by our Customer Support team in the shortest span of time. Our ultimate aim is to make sure that your website communicates your practice philosophy in a precise tone chosen by you. An insight on why and how to take your organization to another level through a website.